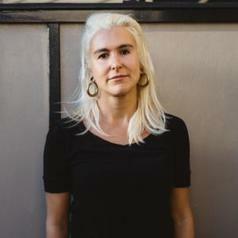 Briohny Doyle is a Melbourne-based writer and academic. She has published work in Meanjin, Overland and the Age. Her debut novel The Island Will Sink (The Lifted Brow) was released to critical acclaim in 2016. Adult Fantasy, her first book of nonfiction, is forthcoming through Scribe this year. She teaches at Deakin and RMIT universities, and is a 2017 Endeavour Award recipient – undertaking research fellowships at Yale and the University of California, Santa Cruz.